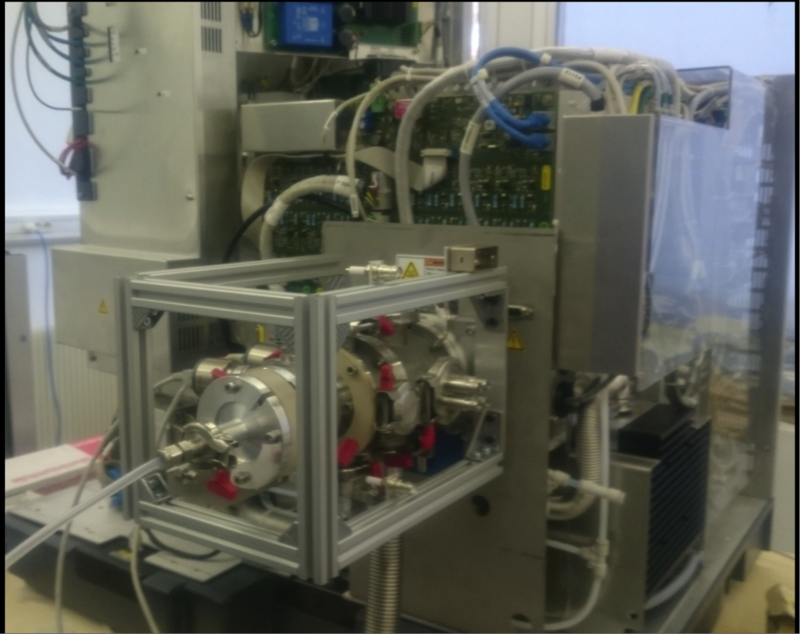 The instrument ORBAS (ORBITRAPTM for Aerosols) is currently under development in the LPC2E (VOLTER and PIVOTS projects) with an objective to implement the high resolution mass spectrometry (HRMS) for the in situ characterization of the chemical composition of the atmospheric aerosols. The HRMS approach will allow the detailed characterization of the extremely complex mixture of organic and inorganic species composing the secondary aerosols of biogenic and anthropogenic origin. The measurements of this type are of great interest for the studies related to the formation, evolution and properties of the atmospheric aerosols.